Before heading to Barcelona I had the honor of spending 72-hours visiting two amazing friends in Colorado. Kathryn and Kevin planned an incredible three days for my visit, many hours of which were spent climbing a fourteener. 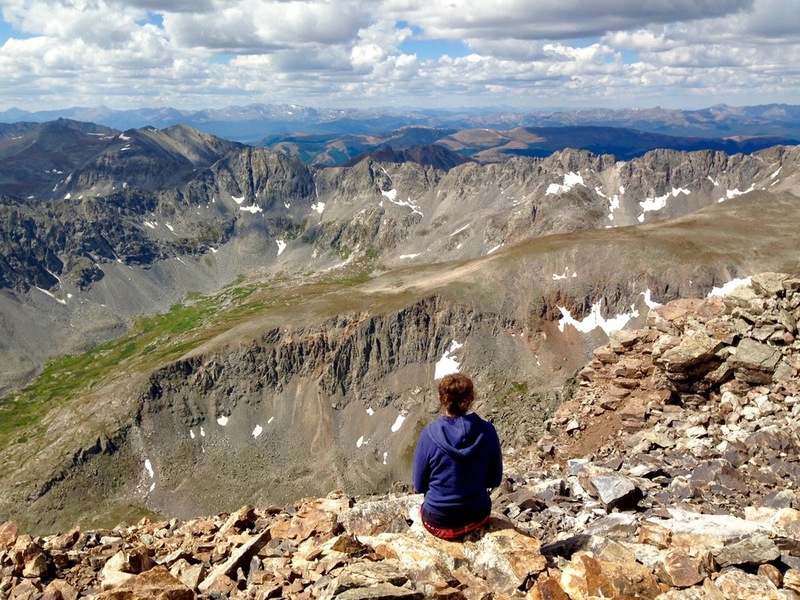 What's a fourteener? I asked the same question. A fourteener is a mountain whose peak is at least 14,000 feet high. 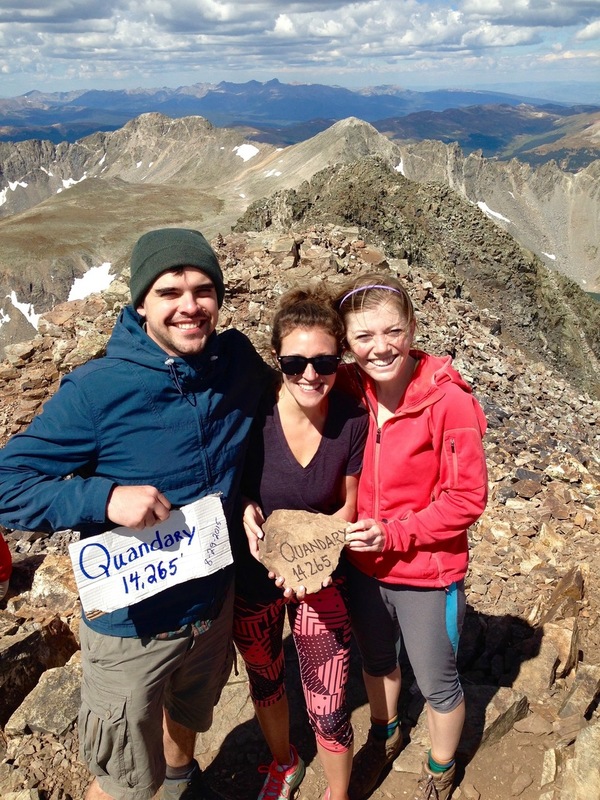 There are 58 in Colorado and we chose to do one of the “easy” ones, Quandary, which is the highest peak in the Tenmile Range. Here's the day in a nutshell: We woke up at 5am to start the ~2 hour drive from Denver (5,000 feet) to Breckenridge, climbing about 6,000 feet on the way. The hike started off pretty temperate and we were all feeling great. The weather couldn't have been better, the trail wasn't crowded, and it didn't seem too steep. Things started getting tough about a mile and a half in with just under two miles to the peak. The climbing got intense and the lack of oxygen started to take effect. We kept pushing through, stopping to see billy goats, pet other people's puppies, catch our breath and, on occasion, glance at the peak. After a not-to-be-mentioned amount of hours on the trail, we were estimating we could get to the peak in two more pushes. And in perfect timing, a hiker coming down let us know “You're almost there! You got it!” We were pumped. We pushed on and got to the top! It was a false peak. Clouds were starting to form and we knew we didn't want to be anywhere near the top if a storm hit, but we couldn't turn around without the reward of the peak. After another bit of climbing, we finally made it and it was worth every single step (20,000+ according to our fitbits). Lessons learned: Elevation makes things hard. Never listen to other hikers. Colorado is gorgeous. If you've never been, plan your trip now :). If you want a quick-start on your itinerary for Denver, click here.